This 3 Row Mothers Ring has 3 separate bands with one crossing over the two. 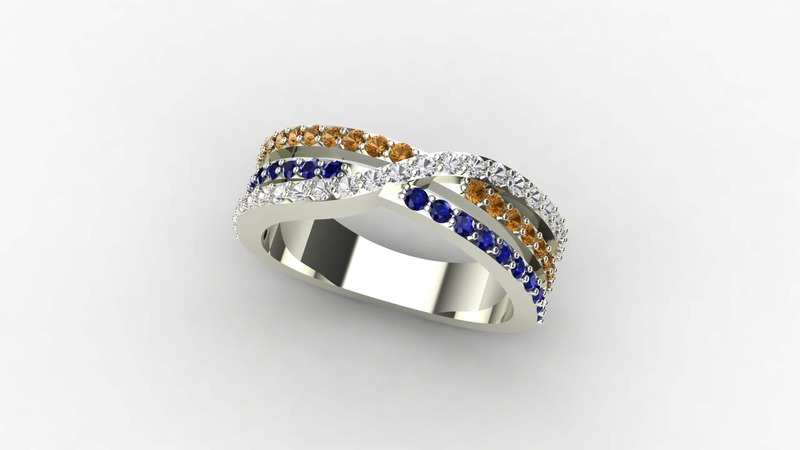 The one shown was is a mother’s ring with her children’s birthstones, but it could always be worn as an anniversary or cocktail ring as well. The stones are 1.5mm in diameter, so any stone cut that small would work. We can make anything like our 3 Row Mothers Ring…if it isn’t exactly what you are looking for, contact us with your idea. No matter how odd you may think it is, we have probably made weirder. ACCENTS: 1/2-3/4 TCW, depending on size and type of stone.. Due to the size (1.3mm-1.5mm), these can only be Diamonds, CZ, Emerald, Ruby, and Sapphire. The listed price is for a 3 Row Mothers Ring in Sterling Silver with CZ. Click HERE to see another Mother’s Ring style. Click HERE to learn more about custom jewelry, to see our portfolio, or to contact us about a 3 Row Mothers Ring. It can cost less than you think to have your very own custom 3 Row Mothers Ring made just for you. 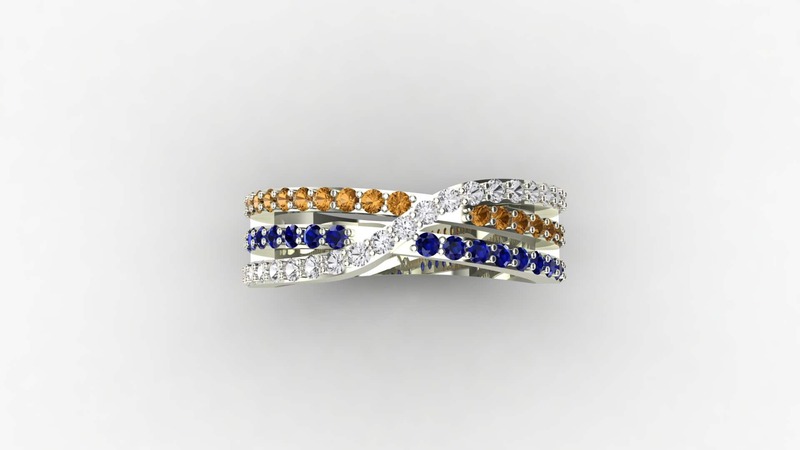 Why hassle with the retail stores for boring and overpriced rings?